the question i wanna ask is why do we need an ID card? I have more smooth experience then you. We got a email that EIDA counter will be open in our office and HR will send you appointment time for you and your family. I got a mail from HR for my appointment time and all done in 10 min registration, fingerprint all done at one counter. Even HR filled the Barcode form for me and when I went there HR was there to assist me. Fee is also paid by Office. Within 10 Days I got my EIDA card. It was the best experience I have. dang, you reminded me .. got to go get mine soon! If only you could have done the fingerprinting on the first day to save you the extra trip! Glad it was relatively painless though! Only post relevant replies. Tragedy, if you want to reply to a comment I've made on someone else's blog, then post the comment on that person's blog only. ABIT.. today I visited your new blog for the first time and I was quite happy to find it. Beautifully written and all. However your comment today to Dubai Sunshine really ruined it all. I hate to get involved as a 3rd party but I have to be honest in saying you're out of line to talk to her like that. She didn't attack you personally, so I fail to see what your motive is. Especially with what you said. Completely against our Emarati culture and of course our religion in this holy month. Buj...thsnk you so much for your kind words. They really made my morning. I am not taking what ABIT is saying personally because I know that he's made a few of these comments on several people's blogs. I will now choose to ignore them because they are not worth my time. Ramadan Kareem to you and your loved ones. Thank God you have got your ID card and also thanks for sharing this experience. As I have to also go through all these experiences but I have got an idea of all that in advance. Thanks for sharing your experience. Desert Safari Dubai is one of the best place for the traveling i like it so much. Hello, the whole thing is going fine here and of course every one is sharing data, that’s in fact fine, keep up writing. Thanks for sharing your experience. Visiting Dubai is always a a different experience as things are rapidly changing over there. I am importer of electronics dealing with some UAE based companies and recently have visited UAE after 2 years. I am surprised to see that things are changing quickly. For businesses I recommend you to use UAE Business Directory before planning your visit to UAE as it helps you to find more business partners which will resulted in saving your time. Thank you for sharing your experience. 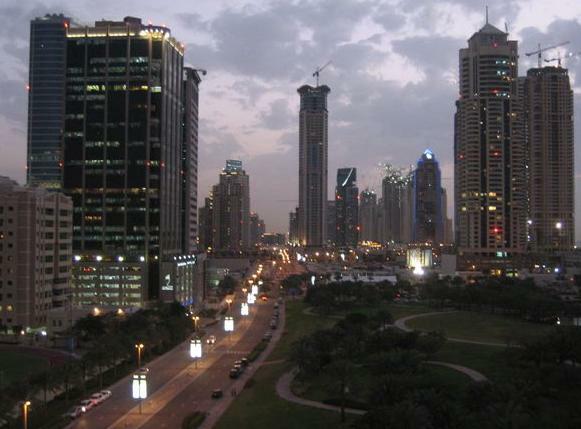 Dubai is a rapidly changing place for better or worse and things will change by the day. It is such a beautiful place though. If you are planning business trip to Dubai then check top 10 b2b websites to find new business partners in Dubai and schedule business meetings before visiting. Its so amazing post, I like it very much. Thanks for sharing your experience. Please share some more posts on Tajawal Discount Coupons for booking cheap flight to Dubai.